Welcome to Orihoods Boat and Ski center. 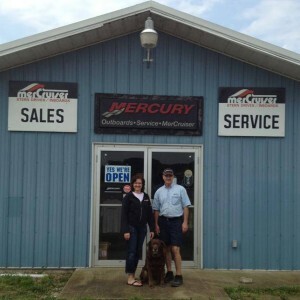 Founded in 1993, we are the areas only Mercruiser and Mercury Certified Dealer; certified in Mercury outboards and Mercruiser I/O. As a family business, we take pride in our work and keeping our customers on the water. We are conveniently located withing 2 miles of the Deer Creek State Park Marina on US 207 and the corner of Washington-Waterloo Rd. As well as being certified with Mercury/Mercruiser, we are a HO HyperLite, Red Head, Stag Parkway and Sierra Parts authorized dealers. We offer a large inventory of parts, boating gear, ski gear, life vests, tubes, skis and so much more. Be sure to stop in and check out the store as well as say hello to Gene, Shelli and Champ!